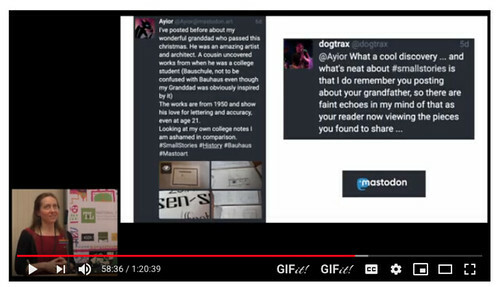 This entry was posted in CLMOOC, Mastodon. Bookmark the permalink. Hmmmm… you’ve given me an idea. My teens are writing biographies, mostly about people close to them, such as grandparents. Writing is hard enough. Writing non-fiction is even harder. We’ve read many books in the genre, including picture books, discussing the attributes that make the stories interesting. Nonetheless, the students tend to write chronologies with little detail or excitement. I’ve had them look for themes to carry through their writing, we’ve talked about creative non-fiction reading like a novel, etc. 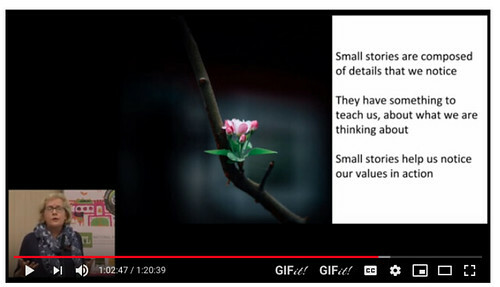 Small stories might be a good way to get them to work on one event at a time of their protagonist’s life and really build it out before moving on to another event, then find some way to weave them together. Thanks!